As I mentioned before, I made this coat a few weeks ago. It is made from 2 yards of luxurious 100% camel hair that I got from fabric mart ($18/yard at the time as well). Camel hair sounds like its going to be rough, but it is actually very soft, drapy, and not itchy. I think it would make very good skirts as well. The wool itself isnt super thick (not as “stable” as fabric like melton wool — it will stretch a little), but its more dense than their Shetland wool, which has a looser weave and scratchier. It goes for $125, and it isnt even made from 100% wool, and probably would be too long for me. So I basically shamelessly copied their design and made the same stuff for myself for much less. I based the pattern off burda magazine 02/2010/coat126 (i cant find a tech drawing of it), as it is a coat without any darts or curves. 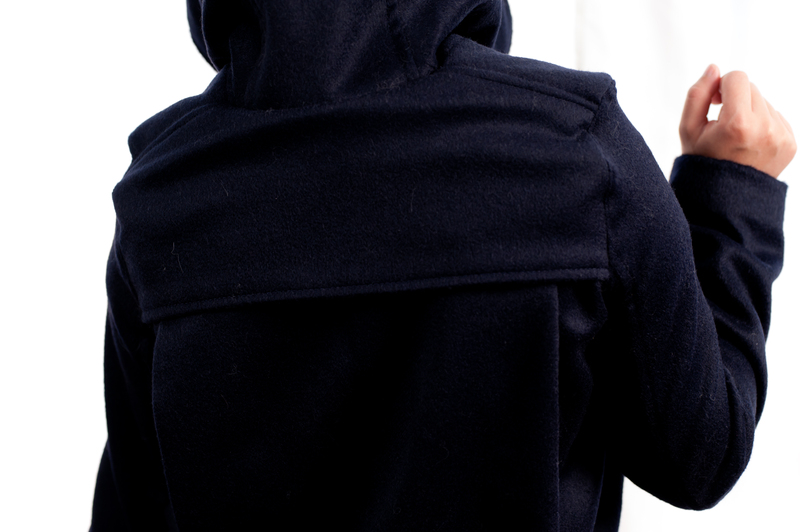 All I needed to do is do some alteration to the back piece and add the hoodie + flaps . I cut the back piece into two horizontally. Added about 10 inches vertically to the lower half, folded that accordingly to attach to the top half. Then add the back flap and tada! 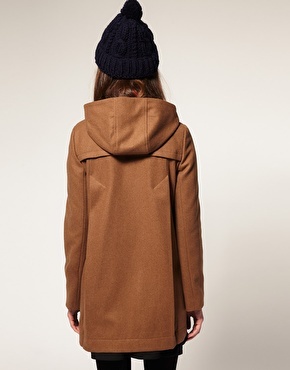 you get the same back design as the ASOS coat. The only difficulty was that the shoulder seam area became very thick and hard to sew, as each flap is two shell material sewing together. That plus the base shell, means there’s tons of layers of fabric at some points. Luckily the camel hair fabric is relatively thin and pliable. But next time when I sew with flaps using coating material, I would sew the flaps in a layer of shell material and a layer of lining material instead. The shoulder seam seems a little awkward in the back, it almost feels like i should get rid of some more materials on the back of the neck so that shoulder seam would sit more in the front. What do you think? Note for self: used size 36, but did not add seam allowance, had to take in the shoulder seam very aggressively (almost an inch folded). 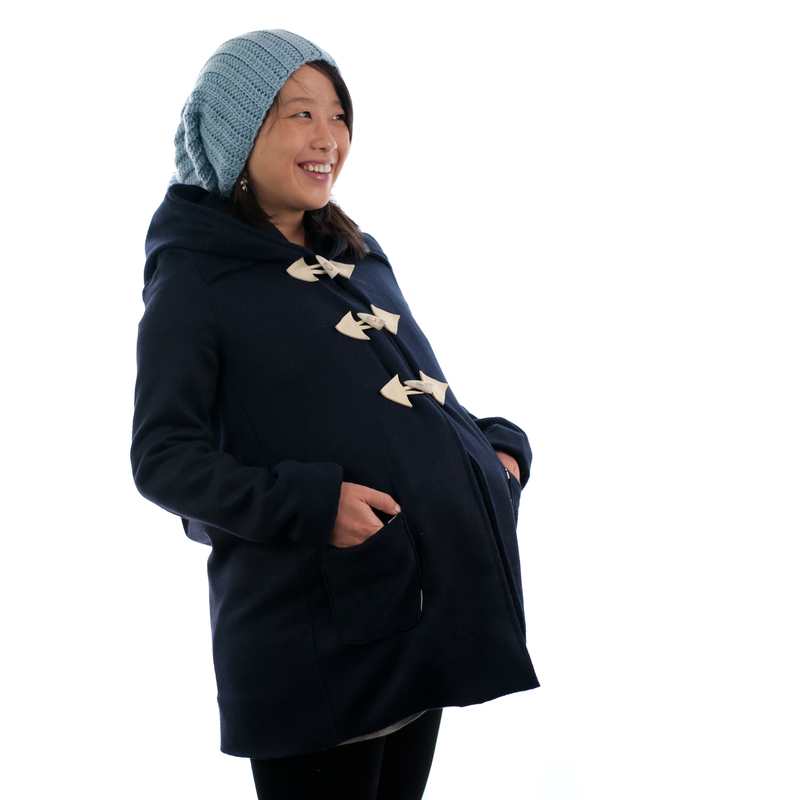 Of course, it wont be a juebejue coat production if it didnt come with cute buttons, funky lining, and a big hoodie. 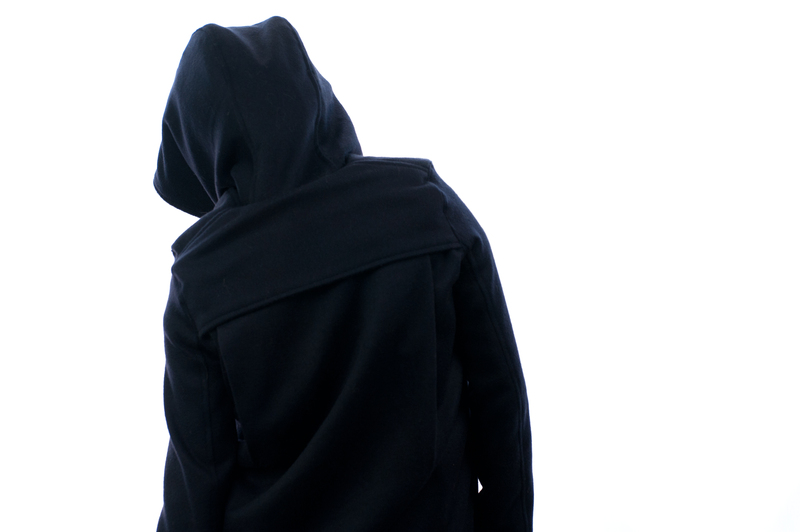 I re-used the hoodie I used in my other awesome coat, polyester lining from hancock, fake leather for free from fabmo (I got some real leather scrapes from there too, but they were not white and I wanted white), and white toggle button from my stash. The roomie pocket is really useful for storing my cell phone, keys, and wallet as well. Once the baby bump is gone and I know how it will drape on my body better, I will sew the two stitches on the back panel, iron it into shape, and probably neaten the bottom seam of the coat a bit more. I could try to do this on the dress form, but its a little annoying as the dress form’s “skin” isn’t smooth, so the fabric still sits on there slightly differently. For now, I am happy with it! This entry was posted on Sunday, October 9th, 2011 at 10:42 pm	and posted in finished pieces. You can follow any responses to this entry through the RSS 2.0 feed. Beautiful! 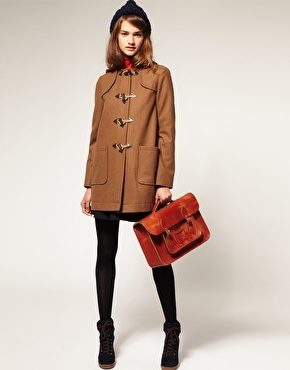 I’ve been thinking about a duffel coat but they are amazingly expensive. I’ve never seen a pattern for one though! love it! you look so cute! you did such a great job, love those toggle buttons. thank you! 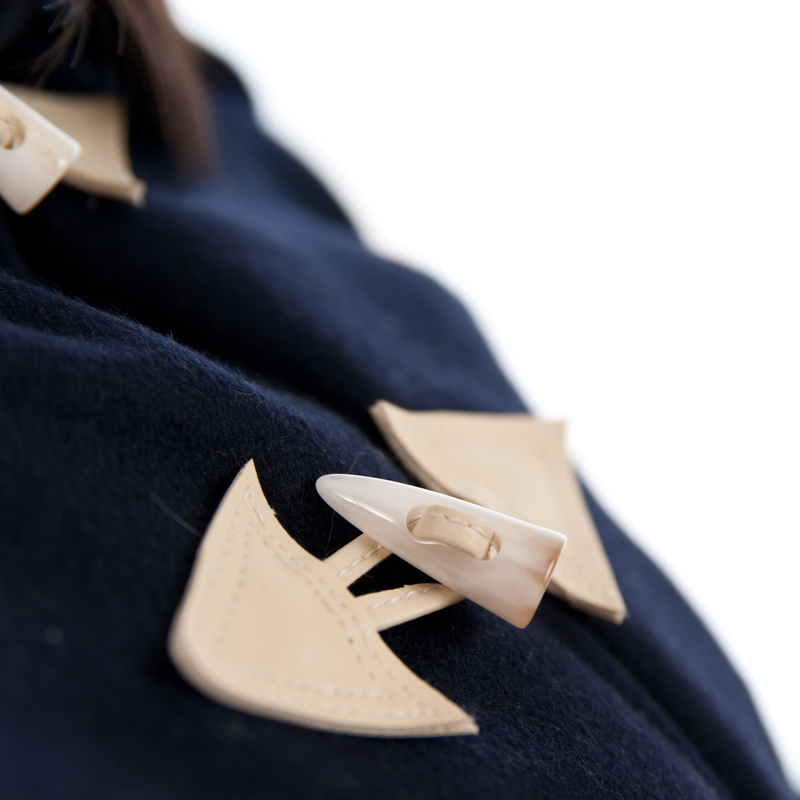 the toggle is one of my favorate detail too! Very cute! I wish I could make something like this! Cute coat. Love your closures and the linning is so fun!